Stunning on THE RIVER in WOLSELEY! Spacious home featuring character with modern touches. Front foyer with tile floor and a clothes closet. Convenient Main floor 2 piece bath with tile floor & granite counter. Living room with oak hardwood floors, pocket doors & pot lighting. Dining room is open to Kitchen with oak hardwood floors, a large picture window & pot lighting. Remod Eat-in Kitchen with maple cabinets some with glass fronts, tile backsplash, granite counters, tile floor, wine rack, double stainless steel sink & a garburator. Stainless steel appliances: built-in Bosch Dishwasher, Gas Stove with a BBQ & Griddle with an Electric oven. Fridge & Stove 2008. Main floor Family room with oak hardwood floors, pot lights & garden doors to Deck & Yard. 3 Bedrooms on the 2nd floor & Laundry & Main Bath. Master Bedroom is 23' x 15' with oak hwfs, pot lights a 5 piece Ensuite Bath w/ heated tile floors, 2 vessel sinks, maple vanity, soaker tub, seperate shower, a walk-in closet & garden doors to a balcony which overlooks yard & the River. Main 4 Piece bath w/ heated tile floor, maple vanity & quartz counters. 3rd floor can be 4th Bedroom, it is a very large open space 42' x 12' w/oak hwfs and 2 skylights. Updated plumbing, electrical, there is No Knob & Tube wiring, windows, roof with ice & water shield. Most renovations completed between 2008-2009. New Single attached over-sized Garage 25' x 16' with 2 overhead doors to allow for drive-thru convenience. 6 Appliances are included: Fridge, Gas cooktop, with Electric oven, dishwasher, microwave, washer & Dryer. Heating & Hydro costs for 2012 $2400.00. No Smoking & No Pets Home. 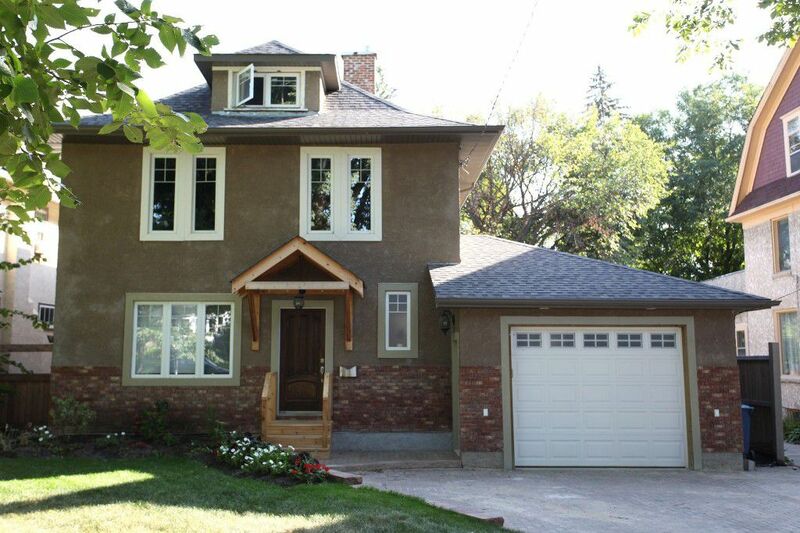 Yard is Landscaped with Deck, Perennials, & Mature Trees on the Assiniboine River. Todd & Shauna SELL Wolseley!